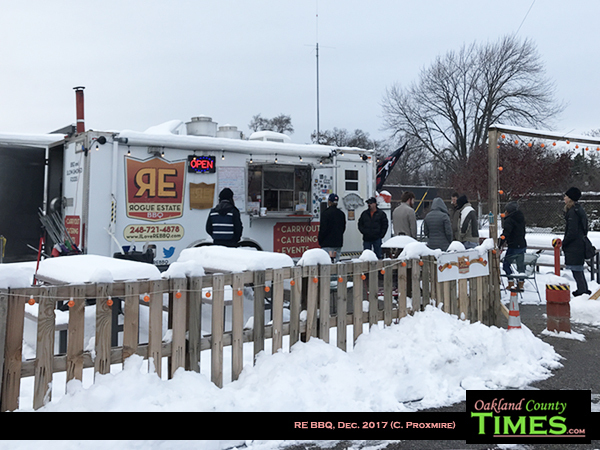 Ferndale, MI – Would you stand in a line out in the cold for some brisket from a food truck at 3 in the afternoon? I do once in a while, and plenty of others do as well. 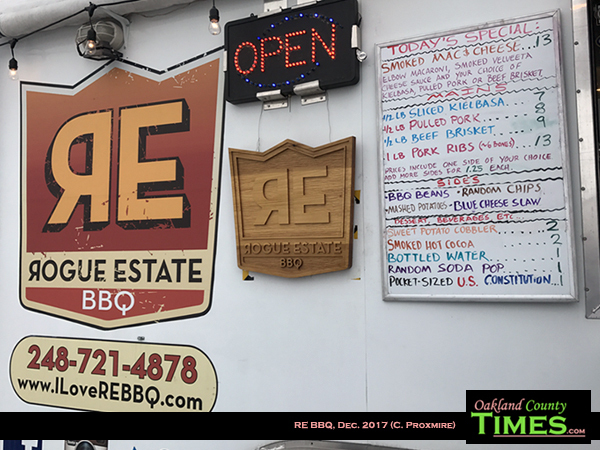 Rogue Estate, aka RE BBQ, has unparalleled smoked meats, ever-changing creative features, and a cool off-the-beaten path parking lot in the middle of a Ferndale neighborhood from which to sling their delicious dinners. 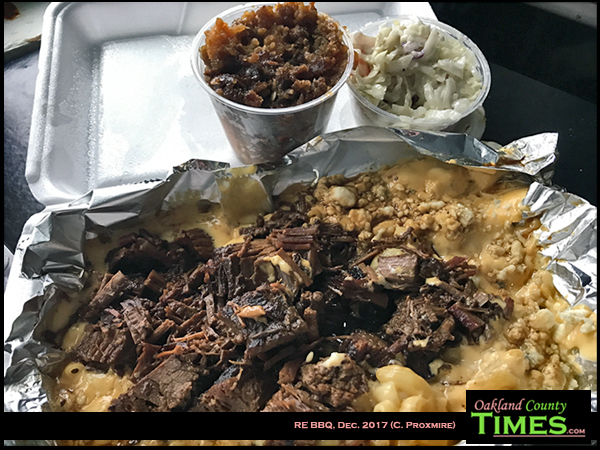 The food truck is located at 600 Woodward Heights and is open on Thursdays, Fridays, and Saturdays from 3pm-7:30pm. Regular items included pulled pork, ribs and brisket. 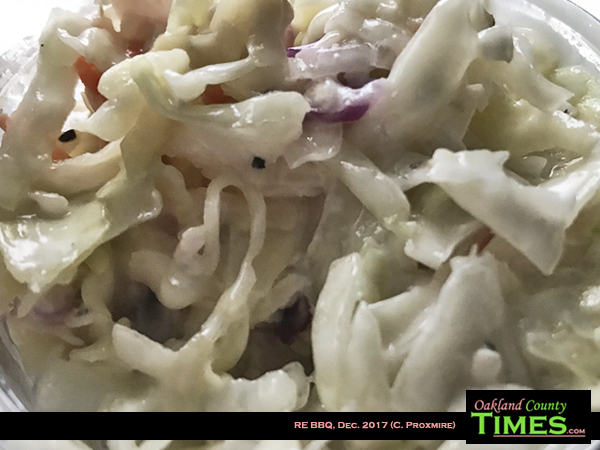 There is usually some kind of slaw or salad and a desert which is often cobbler. 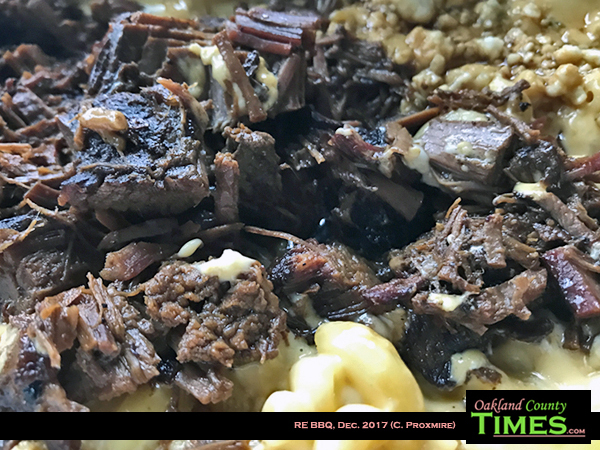 I had the brisket with smoked macaroni and cheese. It should be noted that this was a special, and those change every week. I also had blue cheese slaw and sweet potato cobbler. I’ve been there several times, and just happened to remember to take pictures this time. I’ve had all their regular items and recommend anything on the menu. 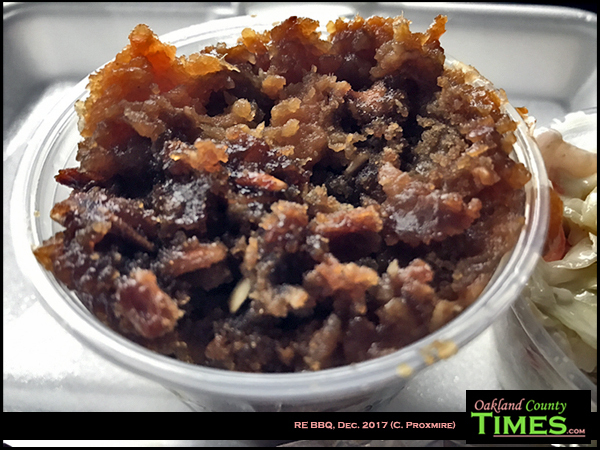 Learn more about RE BBQ at their Facebook Page. 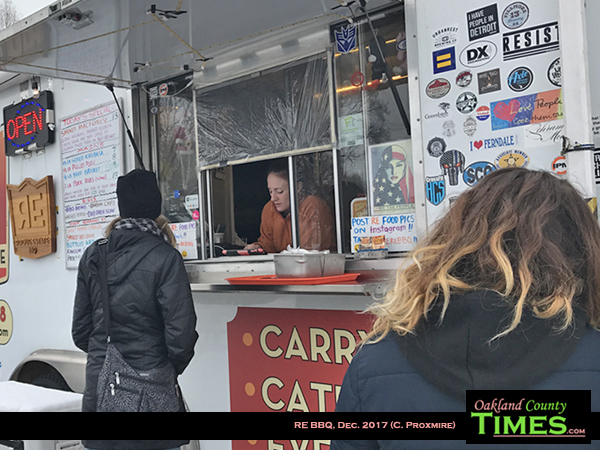 Find other Reporter Food features HERE.